Doppelgangers are devious shapeshifters that take on the appearance of other humanoids, throwing off pursuit or luring victims to their doom with misdirection and disguise. Ok, but what do they actually want? Just money and ease? Ok, as I write this, that sounds pretty awesome. But it seems like they could get that. And then what? I don't understand the ambusher trait. I mean, I get what it does mechanically, but isn't that true for any NPC or PC? 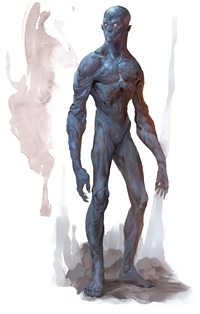 Personally I would be inclined to Homebrew it so their ambusher trait gives a bonus to initiative. Potentially, based on the wording and the fact that attacking a surprised creature gives advantage, the doppleganger could have advantage on creatures that it has surprised, not just while they are still surprised. I don't know if that is what it means, but that makes it different from normal and is a way it could be read. Normally, attacking a surprised creature does not grant advantage. The ambusher trait is an exception to this.